To learn more about SeVEDS or review regional data, visit seveds.com. 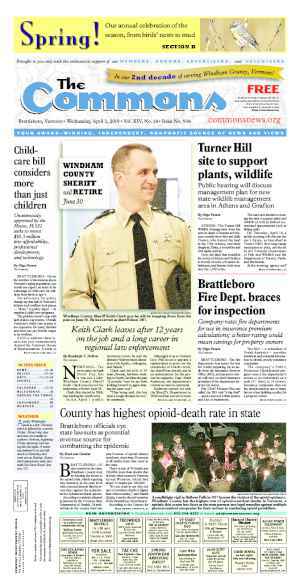 BRATTLEBORO—Rank the quality of life in Windham County. Does it garner a green puke face, or a happy thumbs up? This was the question posed to a full house last Friday at the Southeastern Vermont Economic Development Strategy (SeVEDS) group’s launch of the public input phase for building a regional economic plan. Audience members completed a 10-question survey about their quality of life and place. Similar to patient pain charts found in doctors’ offices, the happy thumbs-up face represented the best — a five out of five — and the green, will-hurl-lunch face represented the worst, a one out of five. The audience gave categories like environment, alternative arts and culture, and sense of place a four out of five. The labor market and wages? A two. SeVEDS has spent six years identifying economic challenges facing the Windham County area in an attempt to pull the county from what it says is a 20-year economic slump caused by stagnant population growth, an aging workforce, a high cost of living, and wages that are often thousands of dollars per year lower than pay for comparable jobs in neighboring counties in New Hampshire and Massachusetts. The group is now six months away from creating a Comprehensive Economic Development Strategy (CEDS) plan. The federally recognized planning document results in a five-year economic development strategy, updated annually, that opens the region to federal funding. The U.S. Economic Development Administration (EDA) approves communities’ CEDS plans. The process has proved slow. The way forward, according to Frank Knott, founder of Maryland-based consulting firm ViTAL Economy, means shedding long-held — and sometimes dearly held — beliefs, structures, and identities. “You can either choose to be a victim, or you can choose your strategy,” Knott told the audience. Knott stressed community involvement and ownership of its economic future. If people don’t understand the process and goals, they’re likely to oppose their own economic growth, Knott said. The goals in a CEDS plan help the community prioritize ideas and opportunities, Knott said. • Increasing the employable population — aged 16 and older — by 651 people. • Increasing the average wage 2.6 percent, from $38,820 to $39,848. 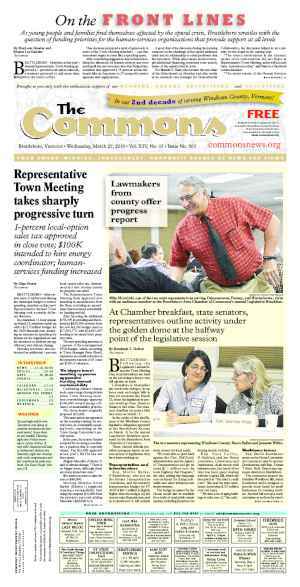 • Increasing the region’s total wages by $96 million. • Increasing the region’s gross domestic product (GDP) by 18.1 percent, or $430 million. Since January, ViTAL Economy has been walking the organization through a 10-month process designed to build a CEDS plan and submit it to the EDA. As part of compiling the plan, SeVEDS will hold two rounds of public sessions across the county — four in March and four in May — to gather information and feedback. According to Knott, the ways to increase economic prosperity involve creating and retaining wealth and increasing productivity. Knott visualized the region’s economy as a swimming pool with the water level ranging from low (economy depleted) to high (a strong economy). Different economic activities raise or lower the water level, he said. Exporting products or services that bring money from outside economies is equivalent to pouring buckets of water into the pool. 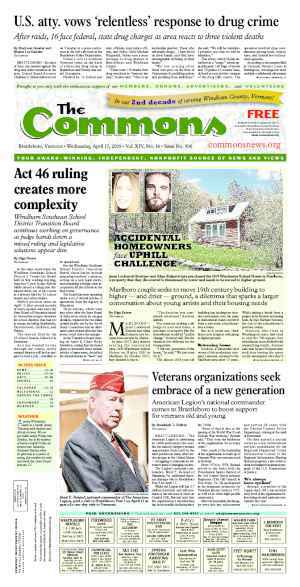 The Windham County region must find a way to leverage its quality of place and life to add more money to the pool, said Knott. Growing food or producing value-added food products, like cheese, and selling to restaurants outside the region is one way of doing this, said Knott. Tourism also attracts capital. Knott said innovation can also play an interesting role in Windham County’s economic prosperity. The structure, hierarchy, and bureaucracy of American business evolved decades ago, he said. Yet, people now live in a “globally flat world,” he said, with many American businesses yet to fully figure out how to innovate or restructure to meet this new world. Windham County will have to ask how it can come together in a broader region and organize so it can access and meet the new opportunities both inside and outside the region, said Knott. As an example, he pointed to the county’s town governments that don’t always talk to or work with one another. If the towns could collaborate, they could share resources and grow a bigger economy. 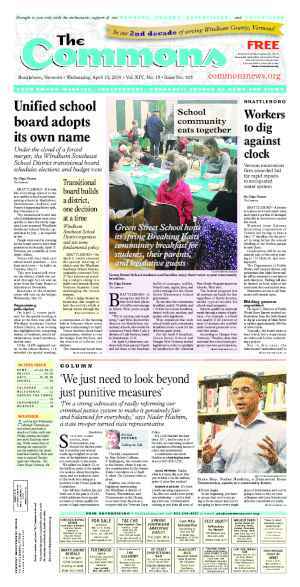 In previous reports, SeVEDS has suggested Windham County switch to a county-government structure. The region also needs to rethink how to integrate workforce development and education into economic development, Knott said. Knott said that in the old days, workers followed jobs. Now, jobs follow workers. Many workers choose where they take a job based on how much they like the local community and its amenities like arts, culture, restaurants, and outdoor recreation, he said. The region has an opportunity to identify what makes it unique and attract new workers and investment, said Knott. “This isn’t a battle between growth and quality of place,” Knott said. Jeff Lewis — the outgoing executive director of the Brattleboro Development Credit Corp (BDCC) — addressed the audience. He said SeVEDS’ goals boiled down to developing a plan for the region’s long-term economic growth, increasing individuals’ prosperity, and increasing wages, while sustaining the good elements of Windham County’s quality of life. Lewis, also a SeVEDS board member and its most-vocal champion, said that Vermonters imagine a conflict between increased prosperity and quality of place (like a clean environment or strong downtowns). Doug Cox, violinmaker and president of the Arts Council of Windham County, said he viewed increasing quality of life as two-sided: increasing wages and making the cost of living here more affordable. Cox asked how much the economic development plan will focus on creating a more affordable region in a world where people will have to live better with fewer resources. Knott answered that the region could do some things to lower the cost of goods and services but that, ultimately, wages would have to increase if residents want an increased quality of life. In response to Lewis discussing rebuilding the decreasing population of people between the ages of 20 and 45, Selectboard member Dora Bouboulis said young people are attracted to Brattleboro, particularly to the area’s arts and agriculture. “The young people coming here are a new kind of hippie,” Bouboulis said. The area needs to find ways to support these newcomers and their fledgling businesses, she said. Jill James, 31, who works at Chroma Technology Corp. in Bellows Falls and grew up in the area, said the company has a difficult time attracting younger employees. Prospective employees say they love the company but that the area has nothing to offer their family or spouse, James said. Lower wages also make it hard for younger people with student loans to justify staying in the area when they can be paid more elsewhere. Lucy Tell, family self-sufficiency coordinator at the Brattleboro Housing Authority, asked Knott how new economic development strategies might address the need to employ people living on low income with low skills. There’s a whole group of workers here, she said, and they want to work. Knott asked Tell and her colleagues to become involved with the planning process, saying that economic development often overlooks unemployed or underemployed workers when it shouldn’t.